Juno Award-winning worshippers The City Harmonic continue their symphonic journey of imagination with their much-anticipated release, Heart. Deepening their spiritual roots in the hopes and fears of real life and revealing the heart and art of the band, Heart connects to that missing piece in all of us. Whether in pop explosion or in ethereal ballad, these new songs give us permission to sing out; in hope, in hurt, from the heart. 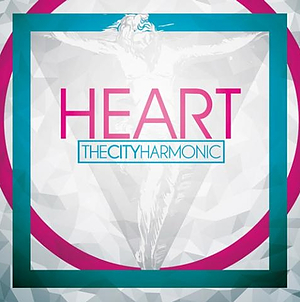 Heart CD by The Harmonic City was published by Integrity in September 2013 and is our 355th best seller. The ISBN for Heart CD is 000768523124. Got a question? No problem! Just click here to ask us about Heart CD. Now Playing: Here and There Your browser does not support the audio element.